Your hotel business is like your family; you nurture it, you nourish it, and you work hard to build it to its best potential. Content marketing for hotels should be treated the same way: it should be considered an important element in your marketing plan that you are constantly re-evaluating and evolving. 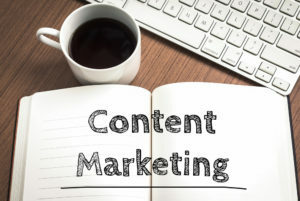 The purpose of content marketing is to offer fresh and exciting ideas that grab new leads. If you are ready to make hotel content marketing a priority when creating a successful business in the hotel industry, read our top tips below on successfully marketing hotels with blogs. Hotel SEO strategies should be applied to all of your content. Your hotel blogs need to be seasoned with relevant keywords and phrases, a Meta description, and graphics with appropriate keywords to allow your website to be a top in the search engine. For more information on how SEO works and how to properly use it, our SEO page is full of answers to your questions. Target your audience at your business location by scoping the area and coming up with catchy content for your hotel blogs. For example, you may want to suggest the closest and most convenient fitness facilities (if your hotel doesn’t offer one) for business travelers or the top 5 dog-friendly restaurants in your area. Who is you audience? Take a look at your past and present hotel guests and give them what they are looking for. Your content should always be easy to pull up from any mobile devise. There is nothing more frustrating than trying to read an interesting article on a slow-loading website. Chances are your viewers are specifically looking for what you have to offer, and want to see what is new and fresh on your hotel blogs. Don’t create an obstacle by having a heavy, non-responsive site! Almost every business uses social media as a form of hotel content marketing whether it’s in sharing a promotion, lending a quick fact about a specific town, or updating guests about your business. Platforms such at Twitter, Facebook and even Instagram will give you the chance to post enticing photos to would-be guests as well as talk about an important aspect of your business. When you are marketing hotels with blogs, add social media buttons at the end of each post. This encourages the reader to share your content with others, thus subjecting your hotel blogs to more traffic. With all the competition out there, it’s a difficult process to stand out among the crowd. Keep your content fresh, new, and exciting to give your hotel business a whole new perspective to new clients. Search engines will reward your efforts, as fresh content means a fresh site, resulting in a rise in ranking! You can even take subjects from your older hotel blogs and branch off into another article from that subject, being sure to link the new article back to the original one. To learn more about the importance of hotel content marketing and how to get started, help with web design, SEO services, or any other areas your business may need assistance in, contact us here. The trusted team at Travel Tech Strategies will assist you with all of your hotel business needs, putting you ahead of the game.